Download the The Country Club at The Golden Nugget mobile app to enhance your experience. Mobile apps contain many features like scorecard, GPS, tee times, news, deals and more! Click on the icons for more information and free download. Please call 337-508-4653 for current rates. 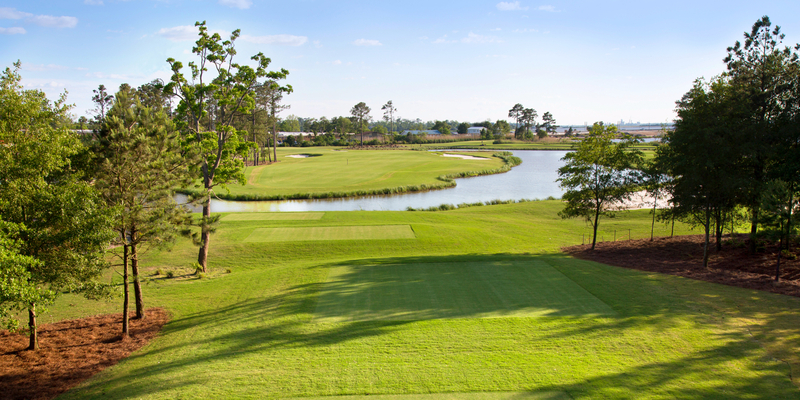 Call 337-508-4653 for rates and tee times. Contact The Country Club at The Golden Nugget at 337-508-4653 for more information and details on holding a golf outing at the course. At the Golden Nugget, we can coordinate every aspect of your wedding from the music to the menu - leaving you free to enjoy the day without worry. World-class cuisine, flowers, entertainment, even rooms for you and your guests - all under one roof and expertly arranged by our dedicated consultants. Whether you are planning a lavish reception enjoyed by many or an intimate gathering of your closest family and friends, the Golden Nugget offers an array of picture-perfect indoor and outdoor venues with beautiful views of Lake Charles including: the beach front wedding gazebo, soft sand beach, the stunning clubhouse or the Grand Event Center. With expert help from our catering team and event coordinators, you can enjoy a stress-free event knowing every single moment will be flawless. For your wedding day elegance, The Spa provides professional make-up artistry and coiffures. Contact The Country Club at The Golden Nugget at 337-508-4653. Enjoy chef-crafted cuisine with a Cajun flair when dining at the Golden Nugget Country Club. 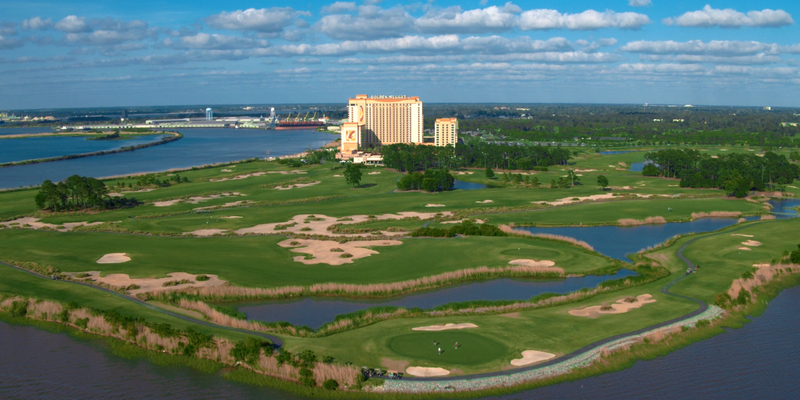 From traditional Seafood Gumbo to entrée selections such as the Sesame Salt and Pepper Sea Bass, there is something to satisfy every golfer. A full-service bar features an extensive wine, beer and liquor selection, as well as a premium cigar list. This profile was last updated on 10/16/2015 and has been viewed 8,287 times.